CR3 is committed to working on research projects that offer members and industry solutions they can use. Our goal is to be part of a sustainable future. We work on taking the waste from one process and utilizing it in another, establishing a closed-loop system, emulating nature … creating an environment where nothing is wasted. Red mud is a complex mineralogical mixture of primarily iron, aluminum, and titanium oxides in addition to some high-value rare-earth elements. Over 3 billion tons of red mud have been accumulated and stored in red mud ponds. The developed proprietary process can use red mud slurries directly from the Bayer circuit. First, the slurries enter a hydrometallurgical leaching process to selectively extract iron, aluminum, and titanium. Then, a solid-liquid precipitation mechanism is used to selectively precipitate iron. Finally, the precipitated residue is converted into magnetite nanoparticles. Magnetite nanoparticles are extensively used in magnetically assisted drug delivery agents, pigments, fertilizers, and magnetic drives. 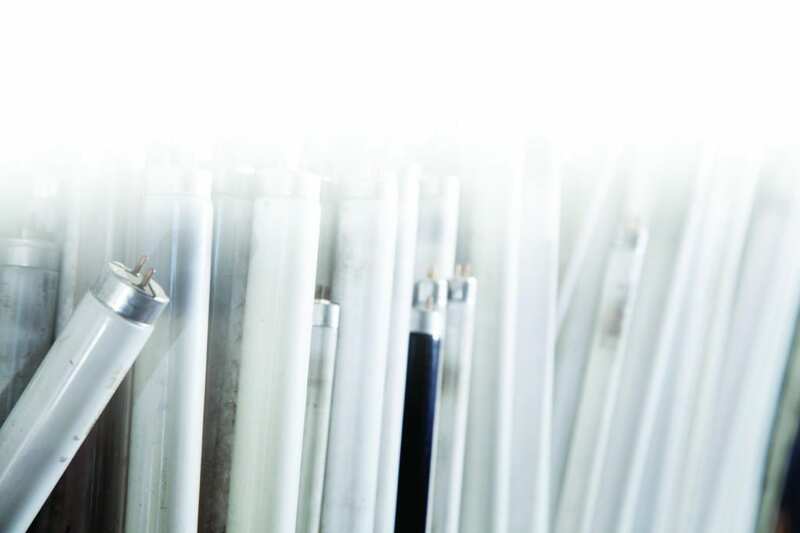 The process offers a way to extract aluminum, titanium, and rare-earth elements, which creates further value. Sand casting is the least expensive of all casting processes for producing rough metal parts. However, foundry waste from sand casting is estimated at 10 to 15 tons … all of which goes into landfills. 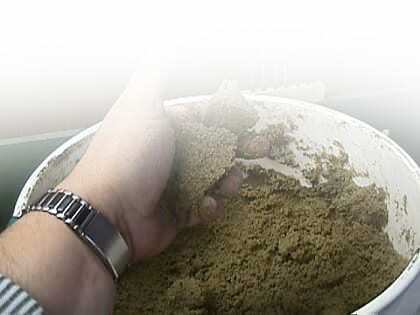 Develop an efficient process to liberate reusable products from green sand foundry dust. Reduce the costs of buying binders (glue-like materials added to a sand mold to bond sand particles together). Improve disposal of remaining materials. Created a hydrocyclone process that eliminates the harsh chemicals associated with the recovery of clay and sea coal. Improved disposal methods of non-reusable waste, as well as recycling binders. Expected to reclaim as much as one million tons (approximately 80 percent) of clay and sea coal that might otherwise go into landfills. Global demand for rare earth metals is critical for high tech products and manufacturing processes. 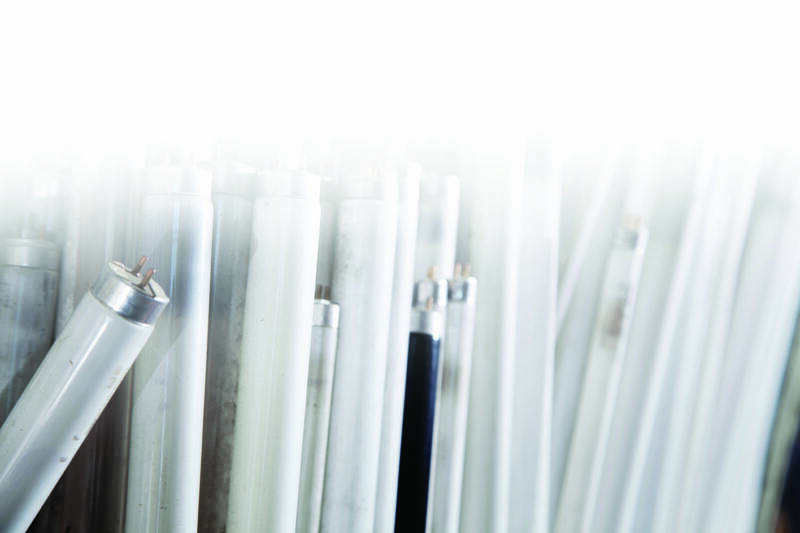 It is essential that we stop importing them and instead recycle them from secondary sources, like phosphor dust from spent fluorescent lamps. 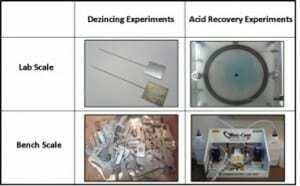 Develop an efficient, economical and industrially feasible flow sheet to recover mixed rare earth oxides from phosphor in spent lamps. Provide technology to recycle high value rare earths and reclaim tons of phosphor dust so they don’t go into landfills. Reduced dependence on China’s exports, which accounts for 95 percent of global rare earth supply. Stablized effects on price, supply and quality of rare earth oxides. Breaching the technology gap for recycling other rare earth-based materials. 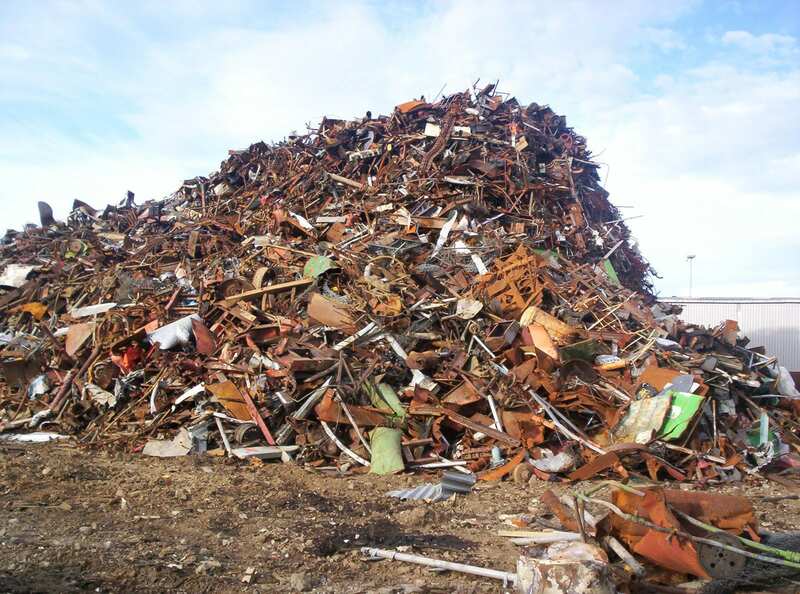 Millions of tons of nonferrous metals are discarded and not reused yearly. Recent developments in spectroscopic technology have opened the door for high-speed automated metal sortation and recovery – especially for high valued precious metals – which helps to eliminate disposal problems. Develop a viable method to feed scrap particles of high value materials onto a conveyer belt with improved sensing and ejection. Design a processing method to feed a monolayer of fine particle scrap (3-7 mm) in a controlled fashion in sync with the kinetics of sensing technology. Developed and beta tested a continuous rotary feeder (CRF). CRF enables feeding of metallic scrap particles 3-7 mm in size in a controlled fashion allowing for feed rate, particle size and distance between scrap particles laying in a monolayer. Recovered high value metal scrap, reduced waste and reused non-renewable material resources. The rechargeable Lithium ion (Li-ion) battery market grows every year and is currently a $12 billion dollar industry. Presently, Li-ion batteries are not widely recycled due to unfavorable economics, a lack of government regulation, and complex battery chemistries. 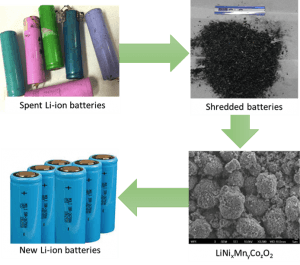 Professor Wang at WPI previously demonstrated a cathode to cathode process for recycling Li-ion battery cathode powders. The cathode powder is the most valuable part of the Li-ion battery making up over 70% of the batteries value. Global demand for both steel and value added zinc compounds are projected to grow in the long term. The effective recycle of galvanized steel provides a new source of these materials along with a minimization and reclamation of wastes. Develop an efficient, economical and industrially feasible flow sheet to recover steel and value added zinc by products. Provide technology to recycle galvanized steel in an efficient environmentally sound manner. A patent pending readily scalable and controllable technology for the effective recycle of galvanized steel.